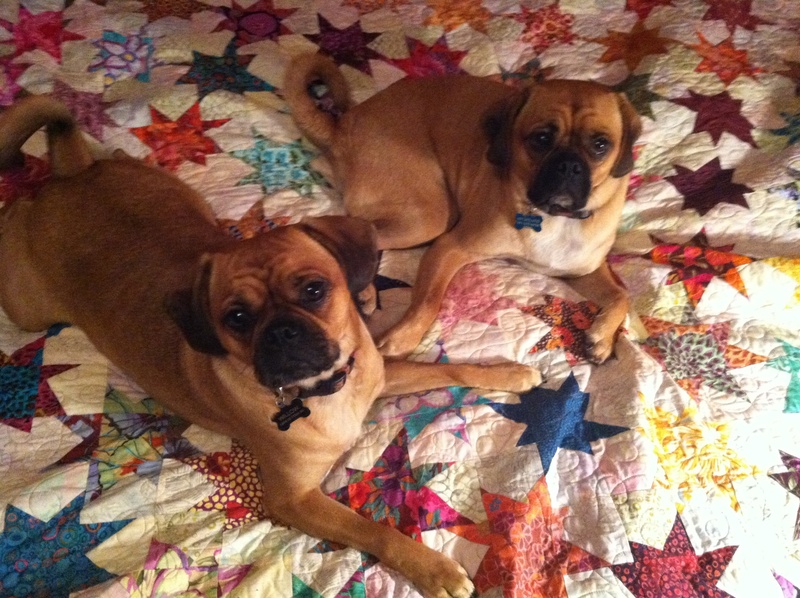 Koriander Quilts | Quilting Inspiration! 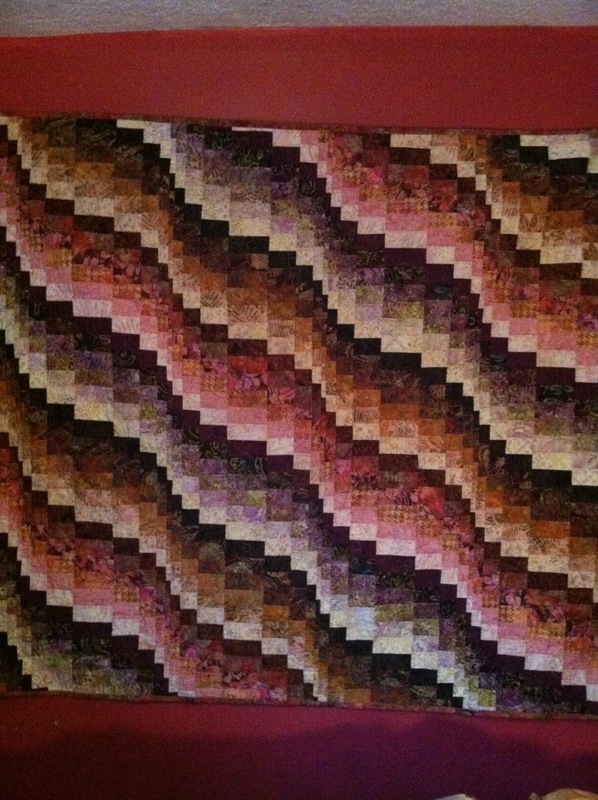 I just finished this Bargello quilt a few weeks ago. 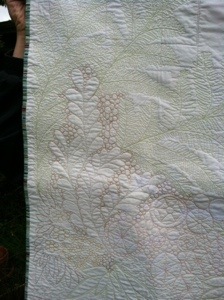 It was pieced last year (2012) and then I long armed it this summer at Quilting Delights in Clackamas, Oregon. I don’t have a long arm machine (although I would love one!) so I rent time there. 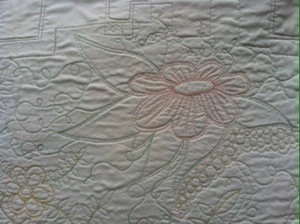 This was the first quilt I quilted with a long arm and I drew up the quilting design ahead of time then freemotioned it. 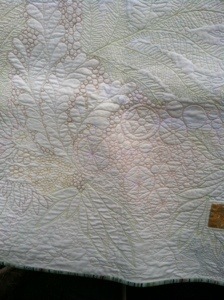 I just finished this queen size Sparkle Quilt. 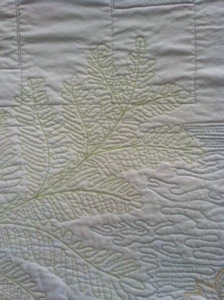 It was the second longarm quilt I did. This entry was posted in Uncategorized on September 22, 2013 by koribrooks. 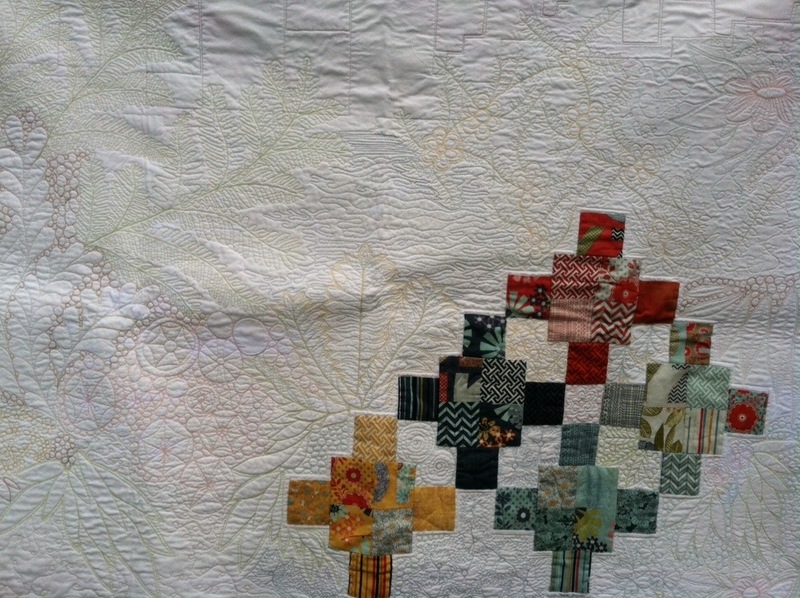 Finished Sept 2013 by Kori. 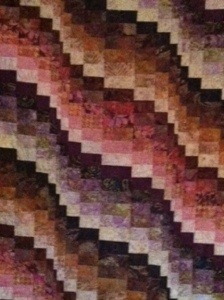 I was inspired by the modern quilt club I attend to make this quilt using expansive negative space. 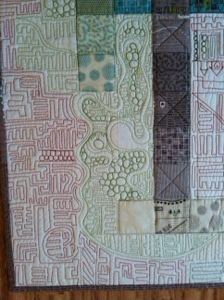 I used that space to stitch roads, houses, trees, and little neighborhoods. 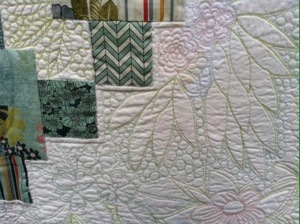 I went outside of my usual fabric choices and used a Road 15 mini-charm pack. 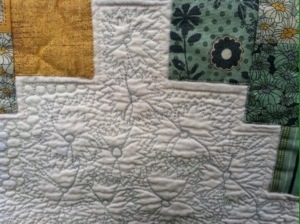 I really loved making this mini quilt and ordered more Road 15 charm packs to make a bigger one! 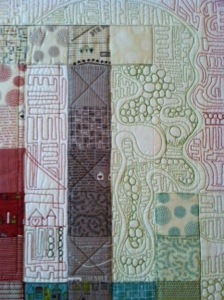 Even though this may not be truly a modern quilt, it uses some of the modern elements. 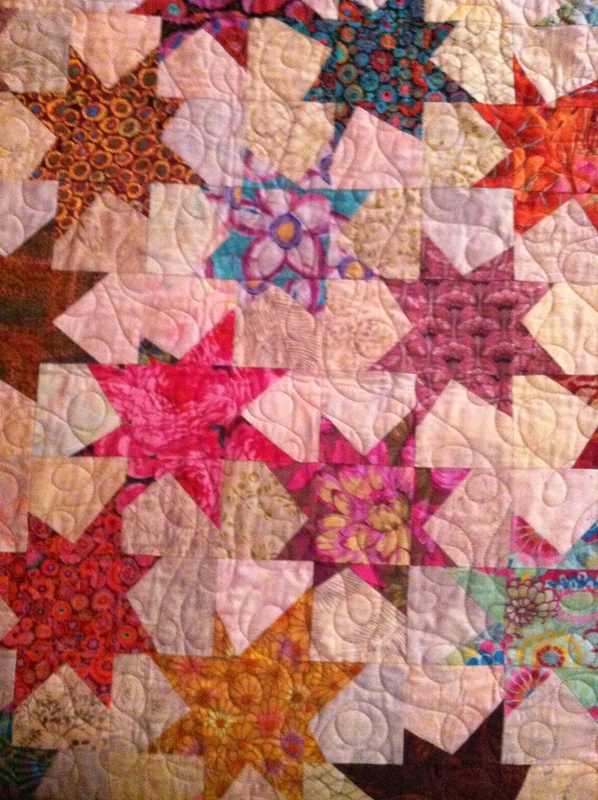 I am more of an “eclectic” quilter rather than fitting into one category. 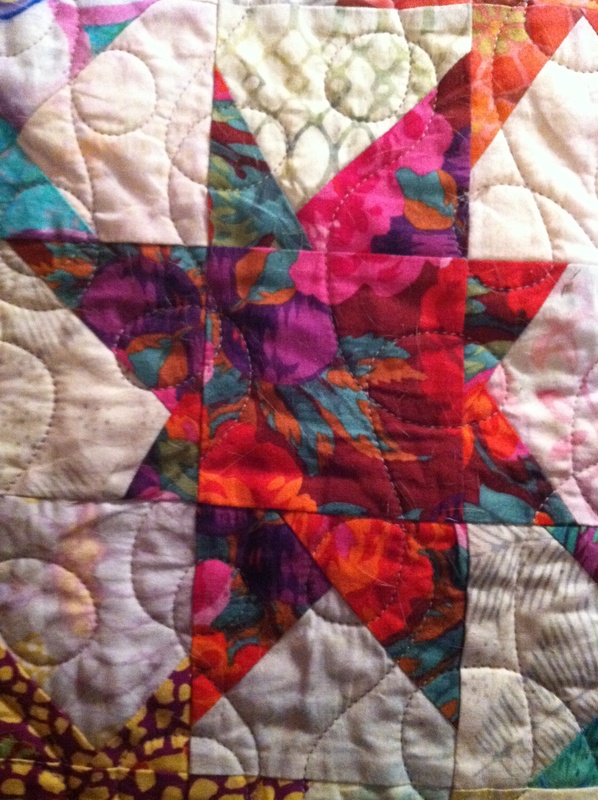 This is my first blog entry, and hope to contribute new ideas on quilting on a regular basis.